A short and sweet holiday themed novella, this story had clever characters with an obvious attraction, a bit of suspense caused by others looking to keep the couple apart, and a rake working to reform his reputation for the woman he wants. Katharine Ashe has presented a lovely installment in the Prince Catchers. As a stand-alone story, this does work without great difficulty: the characters and their trials to get to a happy ever after is fast-paced, but developed with enough detail to present a complete story. Jacqueline is a princess, and fully aware of her responsibilities: despite that rather ponderous set of circumstances, and the people who are striving to direct her moves, she develops in confidence and learns to assert herself to achieve what she truly wants, crown or not. Cam is an earl, and a bit of a rake with a devilish side that will resort to underhanded tactics to achieve his own ends. His reading of Jacqueline’s diary, for example, was unconscionable, and certainly did allow him more insight into wooing her, but surprisingly enough what started for him as a conquest truly did develop into a regard and affection for her. They present a sweet couple, even as they are conflicted with so many others interfering in their relationship: it became rather frustrating to see the doubts and questions that each had, until finally their attraction and true regard won out. 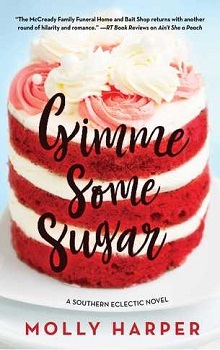 Not a long read at just 100 pages, but a perfectly sweet and fun romance that will please many.